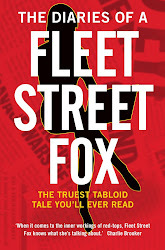 fleet street fox: Show me the money. THERE are lots of things I've learned from being a journalist. How surprisingly useless the people in charge of things can be, for one. The fact there is no such thing as perfect, for another, and that a cup of tea will make the worst things in the world slightly more bearable. But the greatest truism has to be that people will always blame other people for things that are wrong rather than resolve the factors which actually caused it. So racism is the fault of racists, rather than bad education or social segregation. Debts are the fault of over-spending as opposed to normal spending which, when the bottom falls out of the financial world, suddenly isn't a good idea. 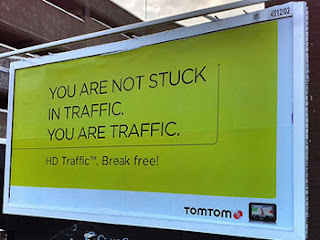 Traffic jams are blamed on everyone else driving, rather than the person doing the blaming who is also sitting in the queue. And when you run out of money it's because people aren't giving you enough. People who sneak and lie and dodge and fiddle, who hide money, dive through loopholes, and viciously give their cash to charities rather than the taxman. Running out of money is certainly not the fault of the taxman spending it on the wrong fighter jets, redundancy pay for nurses and benefit errors which cost us four times as much as fraud. The only way of resolving the issue is therefore forcing people to pay more. Hike taxes, close loopholes, catch the nasty multi-millionaires who must have millions purely because they've never paid anyone anything. Of course such people exist. Billionaire Sir Philip Green for example, who bizarrely was made a knight of the realm while giving his massive business to his wife who is domiciled abroad for tax purposes. The people who sleep on private jets in order not to be in the UK for more than 90 nights a year, or the ones who live in homes owned by relatives or a family trust, like Iain Duncan Smith and Jonathan Djanogly. But according to the latest figures from the Treasury, there's not very many of them. Yes, 12 people earning more than £10m and paying less than 10 per cent tax. Out of a possible 200. Another 26 paid between 10 and 30 per cent and the vast majority pay what they ought. Last year there were 10,000 people who earned between £1m and £5m, and around 1 in 10 of them had a bit of a fiddle - not because they dodged income tax but because their money wasn't income in the normal sense. 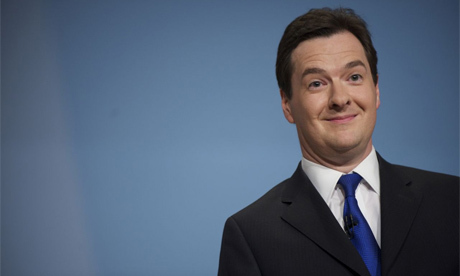 It came from dividends and capital gains, which Gideon has decided to tax at a lower rate. And it also means that 90 per cent paid what we'd expect them to. Ninety per cent of people behaving well seems like a pretty good rate to me. It also seems about average for any situation in life - for a classroom, a hospital ward, an open-plan office. Ninety per cent of people getting their head down and cracking on is pretty normal, and pretty okay. That is people acting like people do. And you're not going to change that. It's not worth changing laws, leading witch hunts and making an example for the sake of that minority, because doing so just sweeps up the rest as well. If you want to stop millionaires in listed buildings putting in swimming pools without VAT, you'll end up taxing churches putting in disabled ramps and little old ladies in leaky thatched cottages. And if you want to stop tax relief on charitable donations you'll have to get round the fact it was given in the first place in order to help charities, and taking it away will catch a handful of wrong-un's but mainly just piss all over the people who can least afford it. I'm getting a little annoyed with a Chancellor who blames other people rather than fixing things. I'm tired of the vast majority paying more while getting less, and the constant media briefings about how it's all a bad man's fault rather than coming up with any bright ideas about how to get that 90 per cent working better and being richer, while keeping as much of an eye as you can on the remaining tenth. But then, Gideon's last financial qualification was a Maths 'O' level. Although we don't even know if he got that, or if he did at what grade, because he's very conspicuously not told anyone. My last financial qualification was a B in my Maths GCSE, and while I'd hesitate to lecture the Treasury on long division I do feel able to tell Gideon a thing or two about people. Stop going after the little man, the middle man and even the big man. It's a massive waste of time and money because they either have no cash, not very much cash, or so much cash they can afford to employ better accountants than you. The bad ones are going to carry on being bad whether you like it or not. Go after the money, instead. Go after Vodafone, Apple, Google, eBay, Yahoo! and Amazon which earn billions in this country but route it all through Ireland, Holland and Luxembourg. Chase the Royal Bank of Scotland whose employees are being investigated for criminal tax fraud, Barclays which owes you £500m and Goldman Sachs which owes you £10m interest on its last bill. You don't need to penalise them out of existence. You don't need to worry they'll all clear off if you expect them to pay normal corporation tax at 25 per cent, a rate most of us would be thrilled with. They'll stay because there are 62 million people in this country who, if you'd just stop screwing them for five minutes, have money to spend. Alternatively, carry on as you are and see where it gets you come the next election. Although if you can do the maths on that I'll be very surprised. "So 45.8m voters, 90 per cent of them hate me, that's... MILLIONS OF VOTES! Hooray!"